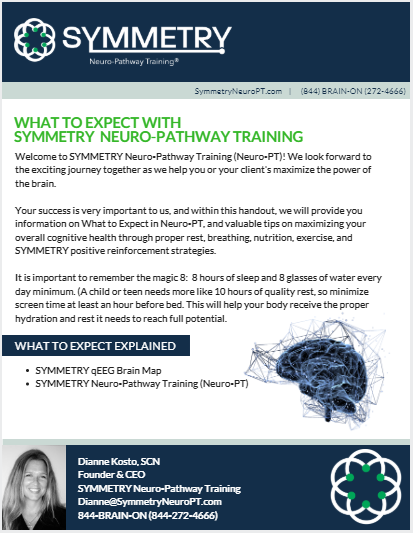 You have taken the first step to learn more about Neuro-PT. Make sure to check spam for e-mail with What to Expect PDF. Download a Free Copy of What to Expect. Neurofeedback is a non-invasive alternative to medication. It is painless, drugless, free of harmful side effects and produces noticeable improvements that can enhance the effect of other traditional therapies.